Sputnik – On Monday, European Union nations moved to recognize Juan Guaido as the interim leader of Venezuela, and the Lima Group nations met in Ottawa to discuss their next move against Venezuelan President Nicolas Maduro. However, Venezuelan patriotism sharply opposes foreign intervention, a journalist in the country told Sputnik. “The eight-day period for convening free democratic and transparent elections in Venezuela has expired. The Kingdom of the Netherlands recognizes Juan Guaido as interim president of Venezuela. We want freedom and democracy to return to Venezuela as soon as possible,” Dutch Foreign Minister Stef Blok said Monday. The Netherlands was joined by over a dozen other EU nations in recognizing as Venezuela’s leader Guaido, who declared himself interim president during a demonstration on January 23 celebrating the historical end of a military dictatorship in 1958. However, Maduro and the Bolivarian movement aren’t without allies. 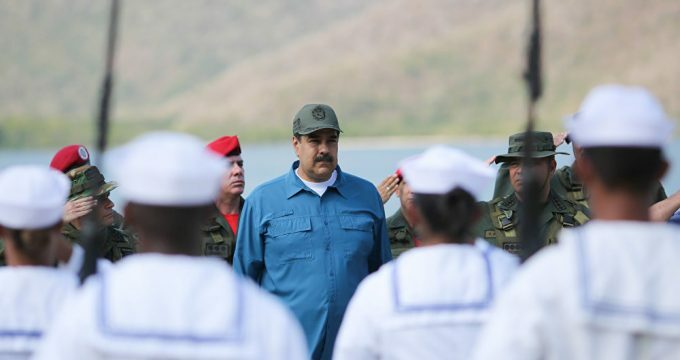 Regionally, Maduro has been supported by Cuba, Bolivia, Nicaragua, El Salvador and Suriname, as well as the Caribbean island nations of St. Kitts and Nevis, St. Vincent and the Grenadines and Dominica. Mexico, which had initially supported Maduro, has since moved into the neutral camp, with Mexican President Andres Manuel Lopez Obrador rejecting the US-backed coup attempt but offering to be a neutral negotiator between the two sides. Abroad, China, Iran, Turkey, Russia, Syria, Palestine, South Africa, Laos and North Korea have also declared their support for Maduro’s government. “I think, beyond political divides, and beyond opinion of Nicolas Maduro or his policies and Chavez and everything else, there is an overwhelming sense of national independence here in Venezuela, of patriotism, and of the sense that Venezuelans have to sort out their own affairs,” Paul Dobson, a writer with Venezuelanalysis.com, told Radio Sputnik’s Loud and Clear Monday. “And here are the friends, we are in front of the Venezuelan embassy… We come as friends of the Maduro government,” said a member of the collective “Yellow Vests Constituents” in a live video broadcast on January 29. “We condemn Mr. Macron, who supports an unelected person,” says another. “The economic measures which these countries may apply to Caracas, it [is] really going to hurt, whether we see any expansion of the oil embargo issued by Washington and other restrictive measures,” Dobson told hosts Brian Becker and John Kiriakou. Dobson recalled when, in August 2018, Venezuelanalysis.com’s Facebook page was “arbitrarily unpublished,” allegedly for violating “the company’s terms and conditions,” according to the media outlet’s statement at the time. TeleSUR received similar treatment at the same time — the second instance of that happening to TeleSUR, according to its statement on the event. “This just reinforces the fact that these companies are in no way independent, they are very much responding to the pressures and interests of the government which controls their financial activities in their home nation,” Dobson said.